Write Bloody Publishing, 9780981521374, 91pp. 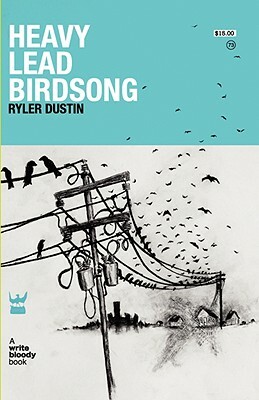 Ryler Dustin's Heavy Lead Birdsong is a collection of love poems--an old man plants orchards in his own chest, angels write messages encoded in boxcar graffiti, and a dangerous car ride through the dead of winter takes us to the Ice Age. Inspired by science and religion, grounded in subtle humor, these poems transcend modern political sorrows to celebrate the kind of human spirit that can save us.